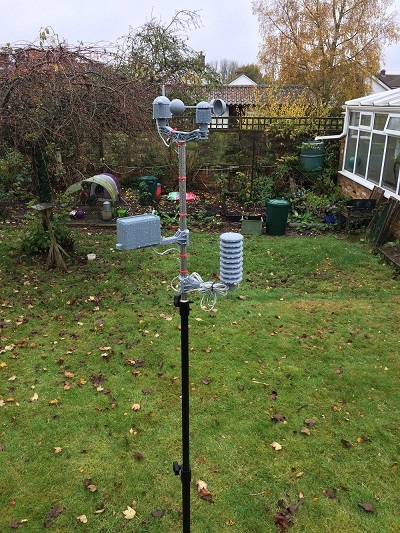 Weather data presented here is coming from a Maplin weather station in my back garden (HP5 postcode),using the excellent pywws application to process it and upload to this site. This is a development project for a weather station I am looking to setup for local charity as such the data may randomly change and should not be relied on. 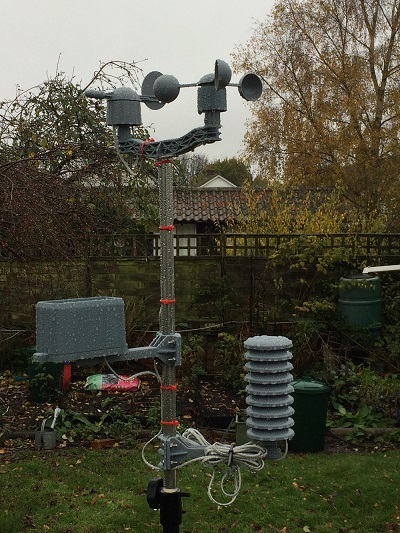 The weather station on it's temporary stand, on a very wet November day !